Hi Everyone! Sorry for the late post. I was out all day yesterday til after midnight at our Crop for the Cure, and have been pretty comatose today, LOL! Very cute card! Those papers are perfect! 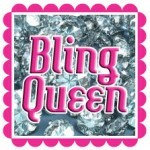 Beverly, please email me at moniquegriffith@yahoo.com with your mailing address. And since I didn't post earlier today, I'm going to go ahead and share a little project that Emily and I worked on this afternoon. She was assigned a state report, and chose the state of Texas. My friend Phyllis loaned us the 50 States cart, and we used a few others as well. So here's some pics of how it turned out. I did most of the Cricut cutting since we were in a bit of a hurry, but Em helped make the decisions, assemble things, and did all of the writing after we read about each state symbol. 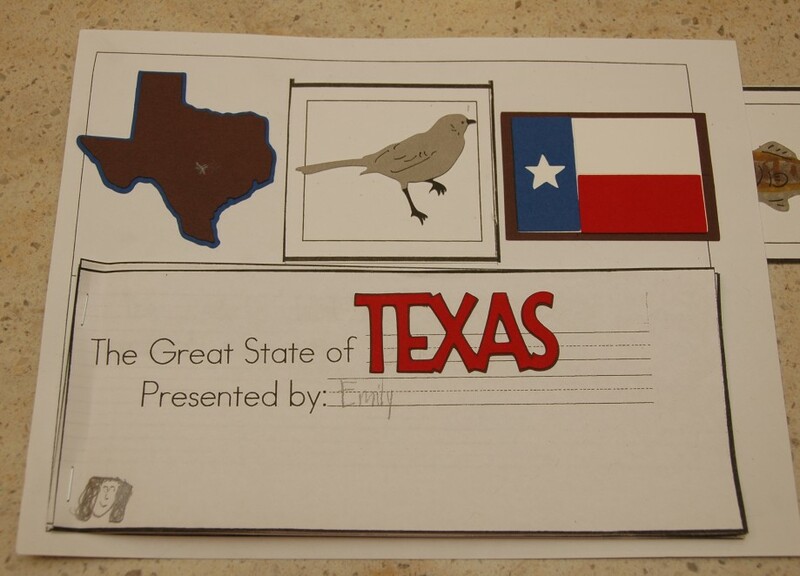 State shape, bird, flag and state name are all from 50 States. The strip with the images slides through like a movie strip. You can click on pics to see what Em wrote. 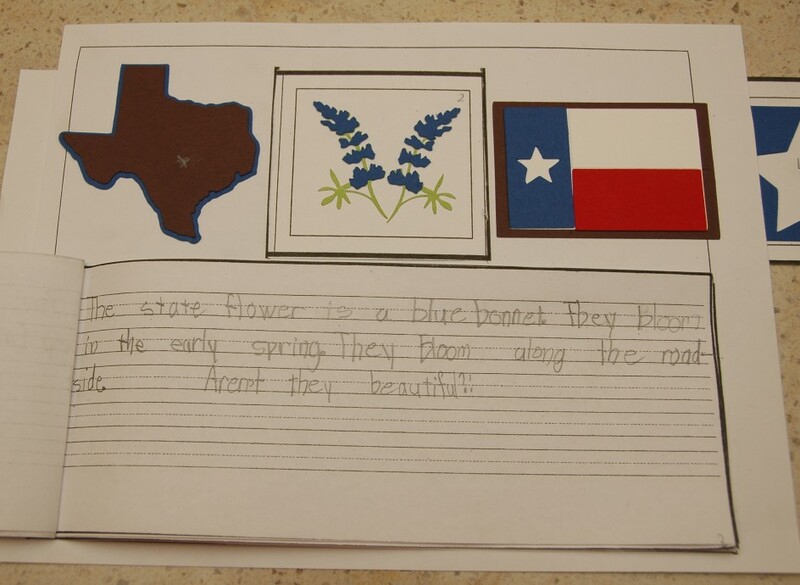 Bluebonnet flowers are from 50 States. 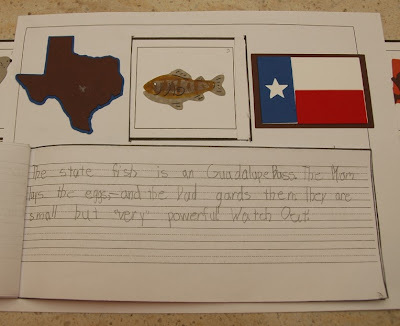 We put the state fish on here, and got the cut from Everyday Paper Dolls. Em helped decorate the fishy. Star and square are from George. I used Centerpoint, and cut the star at 2", then immediately cut a square around it at 2 1/4" still using Centerpoint. 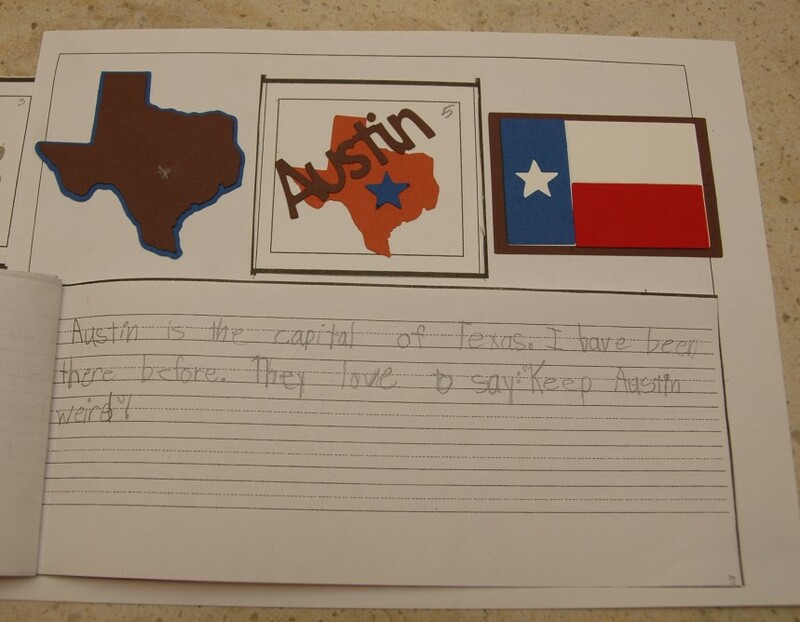 State, star and "Austin" are from 50 States. I like what she wrote, hehe. Cowboy boot is from Old West. She was pretty proud of her report. Not bad for procrastinating, huh? Check back in just a few hours for the Tuesday post. I'm going to share a few pics from Crop for the Cure, including the little favors we made. In the meantime, be sure to leave a comment on this post for a chance to win this week's blog candy - a custom-designed one-of-a-kind layout in your choice of theme! Congrats to the winner!! Wonderful report! Very cute! Gotta love the creativity! Wow! Great report! I love using the cricut to make learning fun!! 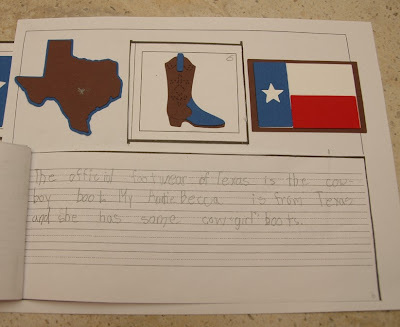 Very cute, I have also used my cricut to help with my kids school projects. I always get really great feedback from their teachers! Great Job Emily! Very nice meeting you on Sunday! WHat a great Blog Candy Monique and a great time for a great cause! Awesome job Emily! You are very lucky to have your Mom help you with your report. Have a great day Emily! Great project Emily! Isn't using a Cricut for school projects just the best?!?!? My boys projects are always the envy of the school! Everyone needs a Bug! Congratulation to the winner, you are going to love that cart. Congrats on the Crop. You Rock Lady. The report on Texas looks wonderful. I gave one of my cricuts to my daughters high school and they asked me to come teach afew classes. It was such a blast. Thanks for all you share. Emily did a great job...she is a sweetie! Great job Emily!! You get an A+ for your project. Thanks for the chance to win. The cricut sure comes in handy! 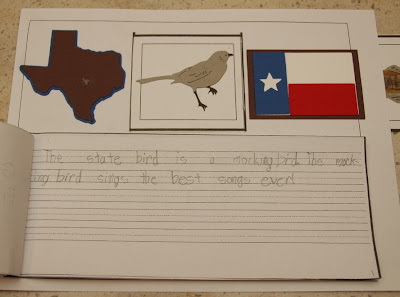 What an awesome school project. Great job! Yaaay, Emily! That is "A" work, for SURE! I know you had fun, Mama, working on that with her. Excellent job! Great project! I love using my Cricut to help with school stuff! Wow Emily did a great job with this project. I love all the detail she wrote about the various pictures, I can see she has put in a lot of time and research. What a great way to make education fun. Looks like you all had a ball. Congrats to the winner. I wish they would have had Cricuts when my kids were in school. It would have made things soooo much easier. But my daughter is a teacher and we make lots of fun things for her class room with the Cricut now. Congrats to the winner, have fun with this. Emily, Great job on your report. 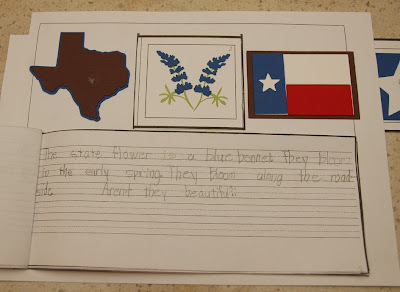 It has lots of great details about Texas. I love the cuts from the 50 state cartridge too. I now know for sure your daughter has GREAT taste. Using the cricut for projects like that is a Great idea. 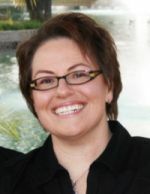 What a great report--Emily did a fantastic job! Fabulous project! The diecuts add so much to the end product. Hope she gets an A+! Such a cute report! It's great that you can use the cricut for school too! I can't wait till my kids are older and I can help them with some projects! My son is only two, but I already use the Cricut for his teachers' cards for almost every holiday. I can't wait till I can use it for his school projects like this. This gives me more justification for my hubby as to why we need to have so many cartridges. ;-) Thank you! 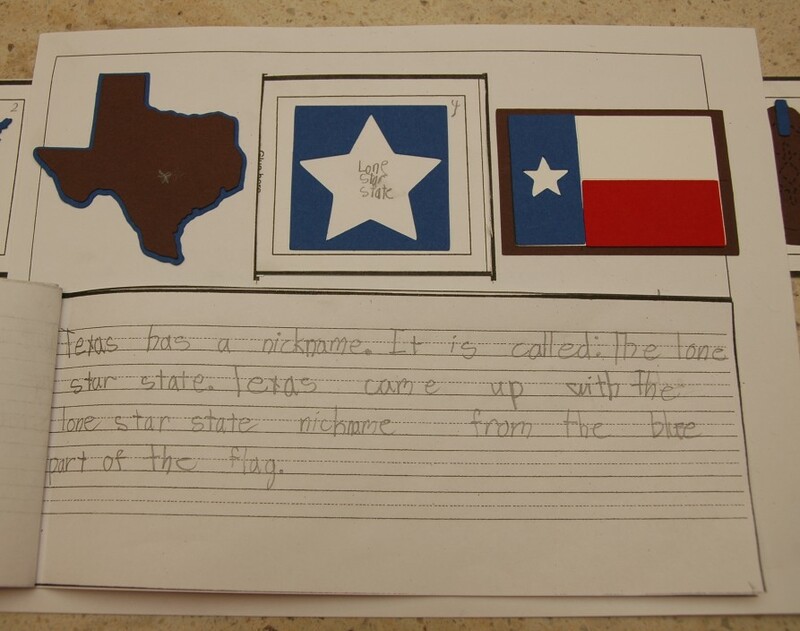 And I love that it's my home state...yay Texas! Great report!! No kids here...well at least none with 2 legs...just the 4 legged kind! BUT...my nieces and nephews always know they can call on Aunt Mary!! Great project. I wish I would've had a cricut when I was in school! As a teacher myself, I love how y'all used the cricut cuts for her school project. YOu just can't beat having an involved parent!!! Priceless!